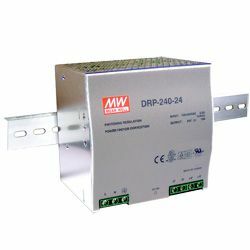 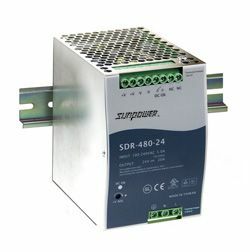 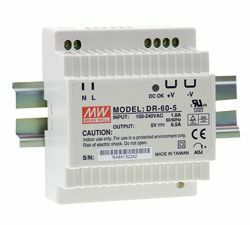 The DRP-480 series is a 480W single output din rail power supply with a high efficiency of 89%. 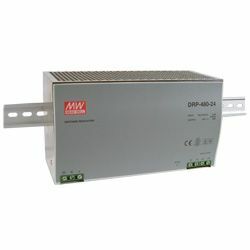 Built to be mounted on a din rail TS-35/7.5 or 15 and approved to UL508; industrial control equipment. 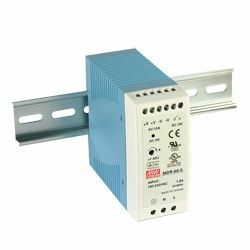 With built-in passive PFC function compliance to EN61000-3-2 and protections including short circuit, overload and over temperature.